For the longest time, I've used Feedburner for delivering Tech-Thoughts' Newsletter and RSS subscriptions. While this was never ideal, changing the site design was higher on my priority list. 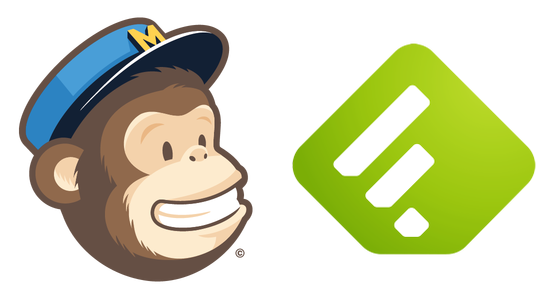 I've finally begun to implement these changes by moving subscriptions to MailChimp & Feedly. Newsletter Subscriptions via MailChimp: I've finally moved email subscriptions from Feedburner to MailChimp. The design is far more appealing and it provides subscribers more options in terms of delivery frequency. You can sign up for the email newsletter here or via the form in the sidebar. RSS Subscriptions via Feedly: While I still use Feedburner to burn the feed, the demise of Google Reader made the remaining default reader choices seem rather dull. So, on a trial basis, I've chosen to link the RSS feed directly to Feedly (existing RSS subscriptions on alternative readers are not affected). Feedly does seem to be the default replacement for Google Reader in most cases and I hope the intuitive user interface provides an easy way for subscribers to follow my posts. You can subscribe to Tech-Thoughts' RSS feed here or via the button in the sidebar.